The following entry is not a DTN original, but we are pleased to include it here. Or as James Carville observed in Defense of Bill Clinton that it’s amazing what happens when you drag a $20 bill through a trailer court. Looks like Avenatti has a few spare $20s, huh. I’m just sayin………..
Back when Peter Strzok was being grilled in the House over his credibility and integrity. One of the Republican members of the panel commented that there was no reason to believe his oath because he had betrayed and lied to his wife in the high profile adulterous relationship with Lisa Page. The observation was on the order of you betrayed and lied to your wife, so why should we believe you? All of the allegations against him were documented and he and Page had both acknowledged the affair and their behavior. The Democrats were outraged and called for censure. So along come the confirmation hearings for Brett Kavanaugh. Clearly unfounded allegations against Kavanaugh are placed and the Democrats change directions and demand to convict even in the absence of evidence of anything. I suppose that it is worth noting to people who have turned themselves into everyone they hated in high school (50 years later!) that we are blessed with the diligence of Senator Sheldon Whitehouse for revealing that Kavanaugh and a couple of his school “buds” wrote some silly comments in a yearbook about farting. They also drank beer! Kinda wish things were going differently for Dr. Ford, but the truth is that there is no evidence of her allegations (or those of the others). Furthermore, whether or not anyone likes the statute of limitations, it precludes anything being done about this in terms of criminal charges. The fact is that Ford’s (and the others’) allegations against Kavanaugh are allegations of felony acts. The lawyers who enabled her in this embarrassment should be disbarred for malfeasance. There is a truth that must be considered closely by all: The law is and must remain absolutely cold-blooded. 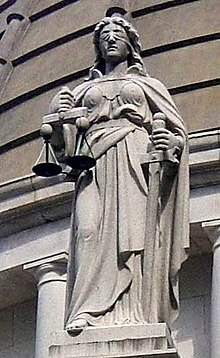 Any effort through law that attempts to grant more weight or advantage to one over another destroys the law in general. Once you go there, you have no right to stop and the end state is chaos. The political weaponization of the law is a travesty that promotes that degeneracy. It is disturbing that the entire notion that an allegation alone is proof has been seen throughout history. Summary executions were conducted in the streets of Germany if a person was thought to be less than loyal to the Reich. It was seen in the Spanish Inquisition and in the fall of Rome and literally throughout history and continues today. No proof was, or is, needed for anything. Our system is supposedly better than that. It requires evidence for allegation and proof through the evidence of guilt before conviction. I for one do not give a damn who believes what or who finds whom “credible.” No one asked any of these people what they believe or what their opinion is regarding anything and that’s because it doesn’t matter because THEY don’t matter. The only thing that does matter is that there is no evidence of anything and so there is no suggestion of guilt ANYWHERE! Understand one thing very clearly regarding an investigation: If there is no evidence of the legitimacy of an allegation, there is no investigation. I’ve been involved in a few of these. You don’t investigate a person. You investigate evidence. The evidence details the event and identifies the people involved. If you have no evidence you have nothing. The most dangerous aspect of this entire matter is that the people are actually considering that opinion and even partial memory is the equivalent of evidence. Proof of guilt is becoming a matter of opinion.